In operation since 1999, JLN Associates LLC has been actively providing services to: Dynegy, NAES, NRG, LS Power Energy Corporations, Capital Power and Energy Capital Partners, Pfizer, Sanofi Pasteur, BWB, Progress Energy, Sikorsky and more. Today the facilities to which we provide services to have minimal staffing, and rely on us for cost-efficient, highly-effective Safety and Fire Protection Program support varying from Staff Augmentation, Inspection and Audits, Code Compliance, Training, Outage Support, Program and Procedure Analysis Review & Correction, as well as HD Multimedia Presentation Production. We pride ourselves in the level of integration we provide to our clients and consider ourselves a one-stop shop for Fire Protection and Safety Services with years of experience and reference behind us. The mission of the JLN Training Center is to provide training and education to construction and industrial workers along with emergency response providers in order to protect life, property, and the environment. Throughout JLNs history it has served a variety of industrial and power industry companies with training programs that encompass safety, fire protection and management learning programs.JLN now offers these programs to companies large and small in our new training center easily reached off interstate 95 in South East Connecticut. 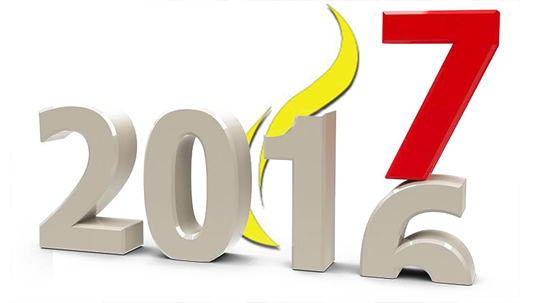 JLN Associates, LLC is a trusted team of fully-qualified Fire Protection and Industrial Safety professionals. YOUR safety team. 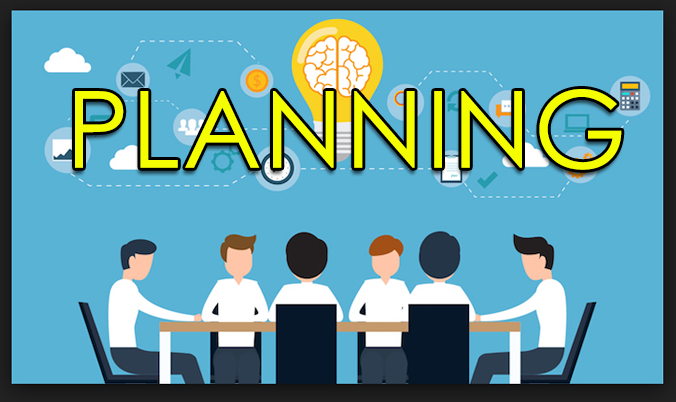 We view ourselves as partners with our clients and aim to be recognized as the premiere provider of industrial safety, fire protection and hazards-planning services. We take pride in providing our clients with long-lasting solutions to all areas of safety. Top Rung Inspection and Testing is a division of JLN Associates, LLC, which gives the company a foundation in safety. 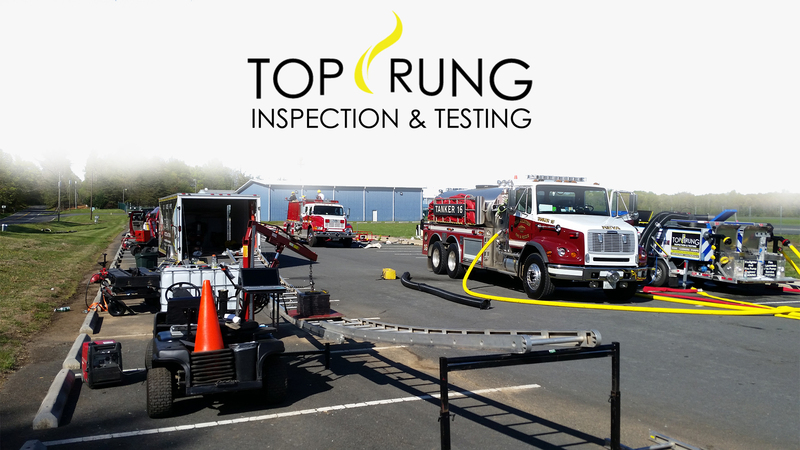 Top Rung is an proudly American company, providing fire departments across the North East with quality ground & aerial ladder testing, hose testing and pump testing. We are made up of a team of skilled, knowledgeable fire service members and safety specialists. Our unique skills and dedication to the industry allow us to provide exceptional service and an understanding unlike another company. We want to help your department stay safe while protecting and serving. 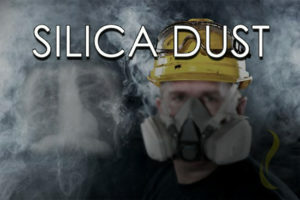 What is a Competent Person under the OSHA Construction Standard for Respirable Crystalline Silica? It is someone who has the knowledge to identify and the foresight to anticipate respirable crystalline silica hazards in the workplace. 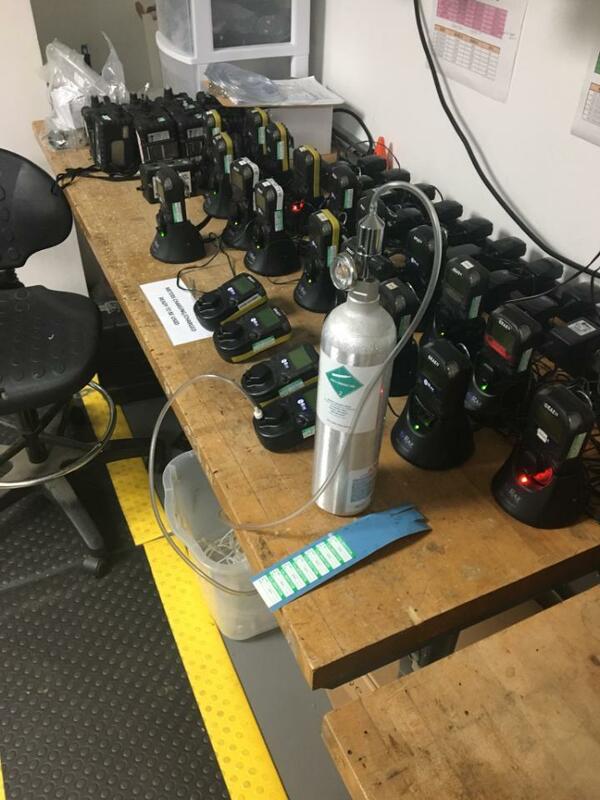 This is a high threshold of knowledge and understanding of the hazards associated with and the tasks that give rise to respirable crystalline silica. This JLN Train-the-Trainer Competent Person course will cover all the materials required to be a Competent Person. It will provide the resources for trainers to continuously deliver training to multiple persons and job sites. 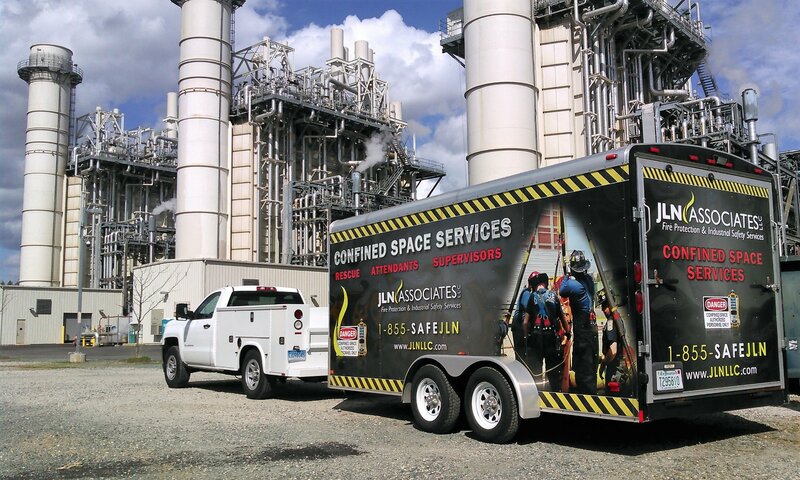 The Confined Space Operations Entry/Attendant/Supervisor training session provides 8 hours of classroom and hands-on knowledge to individuals who may work around confined spaces. JLN instructors will cover a variety of confined space enclosures which may include storage tanks, boilers, sewers, excavations, manholes, tunnels, and open top spaces more than four feet in depth, such as pits, vaults, and vessels. Attendees participating in the Confined Space training program will be provided hands-on opportunities to monitor and set up safe confined space entry sites. This JLN course will include general requirements of the OSHA standard, employer’s responsibility to individuals working in confined spaces, confined space recognition, requirements for entry, atmospheric hazards, air monitoring for atmospheric hazards, physical hazards, personal protective equipment, and regulatory requirements. Fire extinguishers are only valuable safety devices when you know how to use them. This is why JLN offers a comprehensive training program in the use of fire extinguishers. Our instructors will provide students the opportunity to learn the basic elements of fire prevention, basics of fire chemistry along with the basic operation, inspection and use of Fire Extinguishers. Students will then have the opportunity to practice with multiple types of fire extinguishers, using state of the art simulators. 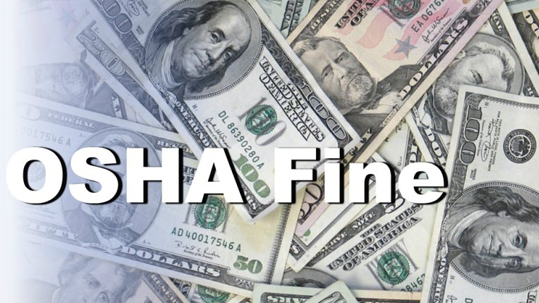 The OSHA Outreach Training Program provides training for workers and employers on the recognition, avoidance, abatement, and prevention of safety and health hazards in workplaces. The program also provides information regarding workers’ rights, employer responsibilities, and how to file a complaint. Through this program, workers can attend 10-hour or 30-hour classes delivered by JLN OSHA-authorized trainers. 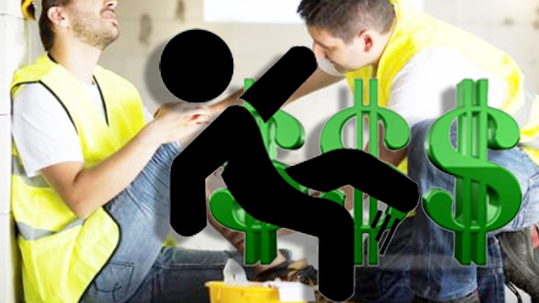 The 10-hour class is intended to provide workers with awareness of common job-related safety and health hazards, while the 30-hour class is more appropriate for supervisors or workers with some safety responsibility. Through this training, OSHA helps to ensure that workers are more knowledgeable about workplace hazards and their rights, and contribute to our nation’s productivity. Contact a JLN representative for more information, (860) 434-3443. Exceptional service, and integrity. Training is beyond up to date. Our team is made up of a group of dedicated and highly qualified individuals who truly care about safety. We take pride in our dedication and our efforts. We develop strong relationships with our clients that allow us to work with each other and grow successfully as a unit. Read more about us here. JLN Associates has the unique abilities of combining their experience in the safety industry with state-of-the-art HD video production capabilities. Day or night, we are there when you need us. Whether you have an inquiry regarding a project or simply a question you need answering: we are your resource.